Postmodernism meets totalitarian Ost-modernismus way before Robert Venturi and Charles Jencks. The East German Council of State building (Das Staatsratgebäude) designed by architects Roland Korn and Hans Erich Bogatzky, erected between 1962 and 1964 in the Mitte of Berlin in the former DDR. The unusual design element is the incorporation of the so-called Liebknecht’s balcony in the facade. The balcony was originally a part of the Berlin City Palace (Berliner Stadtschloss) built in the 15th century but changed throughout the next centuries. It was on this balcony that Karl Liebknecht on November 9th 1918 proclaimed the German Socialist Republic. But the Communist revolution failed and Liebknecht was killed two month later. The royal palace was damaged during WW2 and after the war the Communist authorities demolished it. But the Liebknecht’s balcony and the surrounding portal were saved due to the socialist symbolism and they were later integrated into the Council of State building. 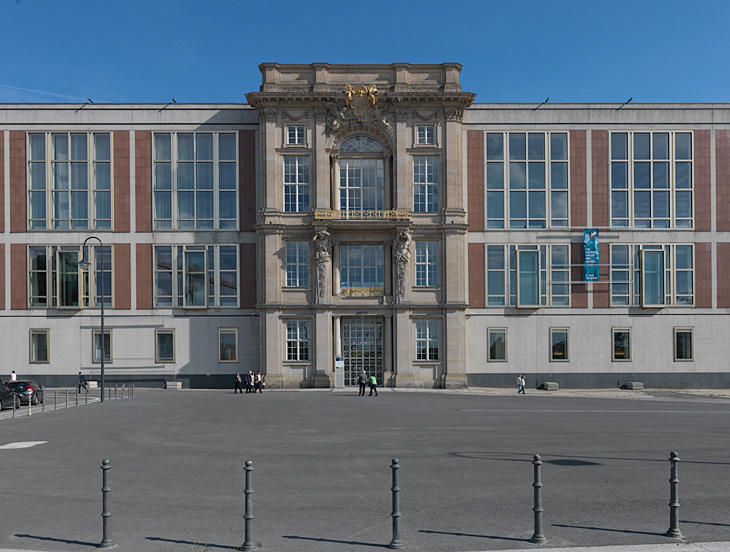 Today the building houses the European School of Management and Technology. 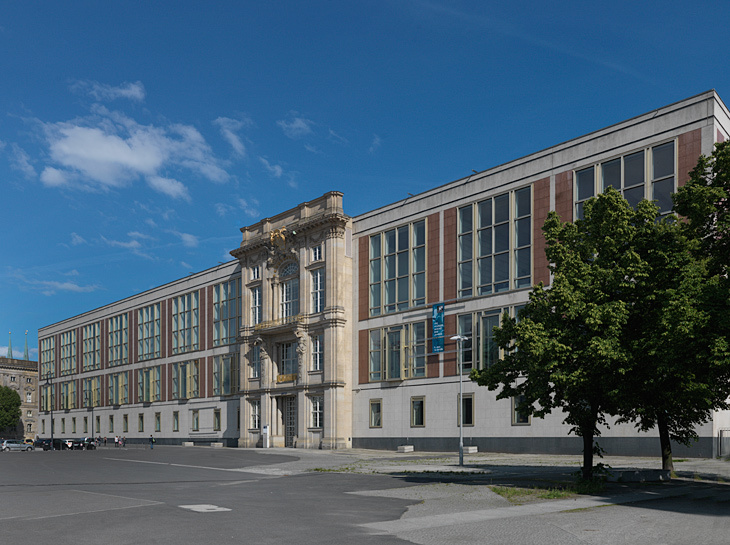 In 2001 Rammstein used the building as location in the music video for Ich Will. Photographed by hansen-hansen.com, 2013.